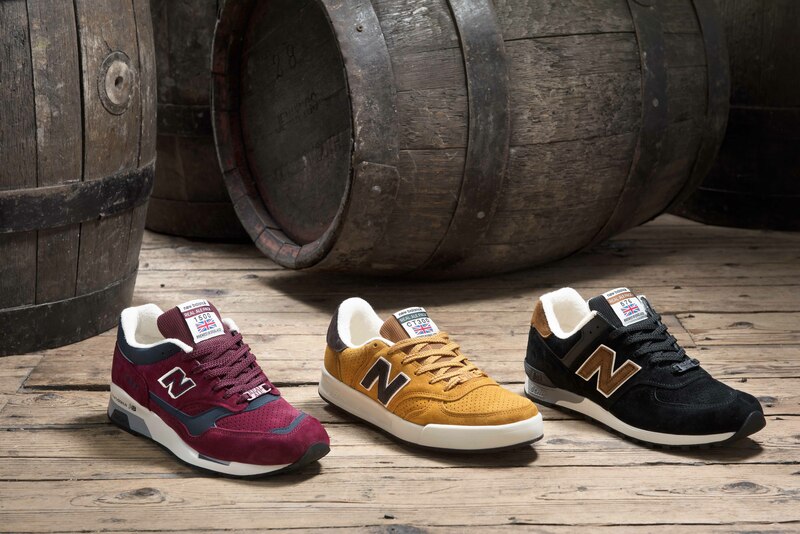 The Made in UK New Balance “Real Ale” Pack is set to drop on September 9th at select New Balance retailers, so we’re going to take another look at the pack in anticipation of this. In case you missed it, we attended the “Real Ale” Pack launch event in July, and you can check our full write up of that amazing event here. 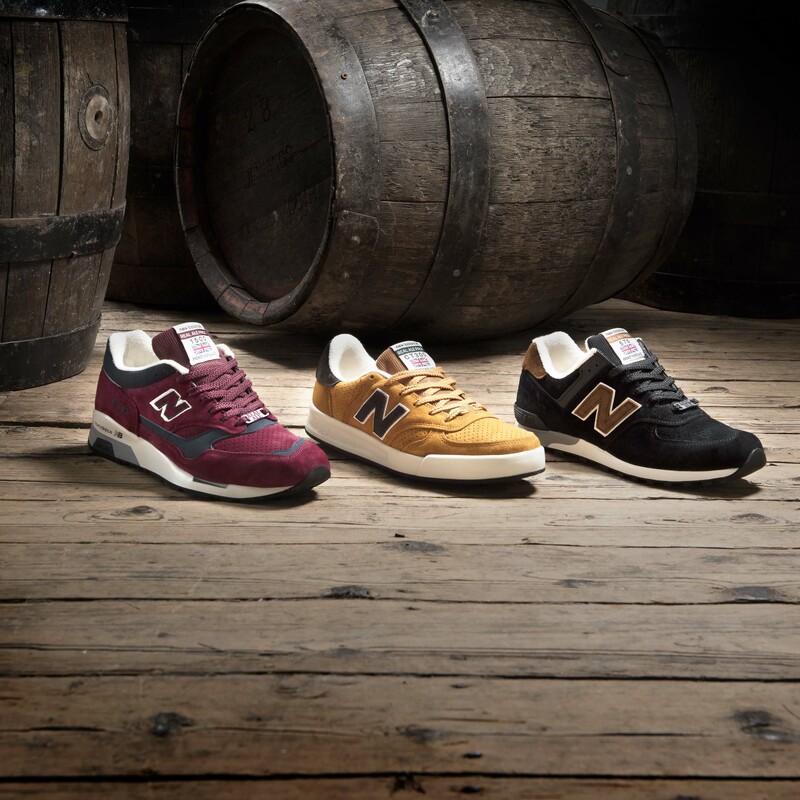 In this article, we’ll cover everything you need to know about the New Balance “Real Ale” Pack, just straight facts, no messing around. 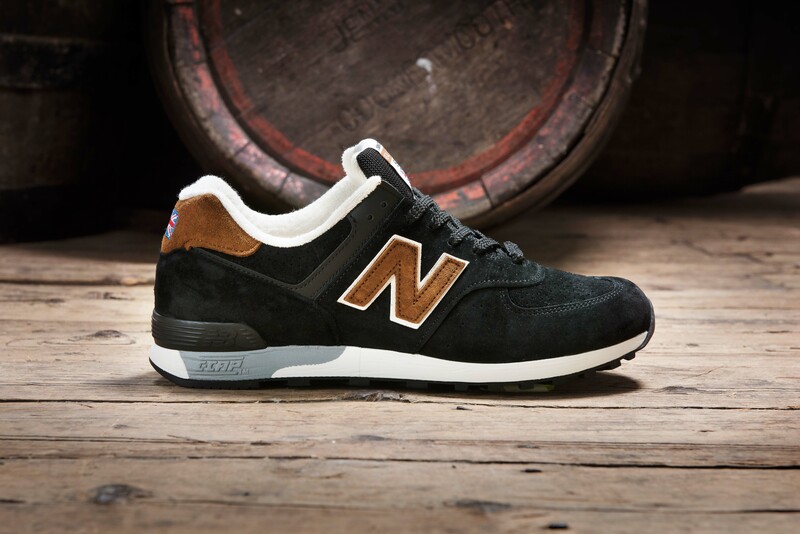 This pack is the latest premium Made in UK collection, and draws it’s inspiration from traditional British ale and pub culture. 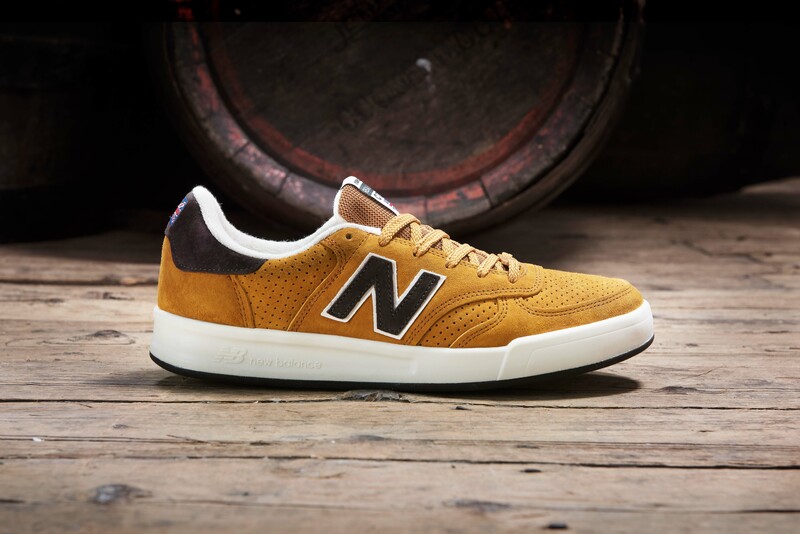 New Balance UK are never short of ideas when it comes to basing their packs around iconic elements in British landscape and culture. I mean, a collection of shoes based off of ale, what’s not to love there? Made in the Flimby factory, the “Real Ale” Pack raises a glass to three classic models – the 1500, 576, and CT300. 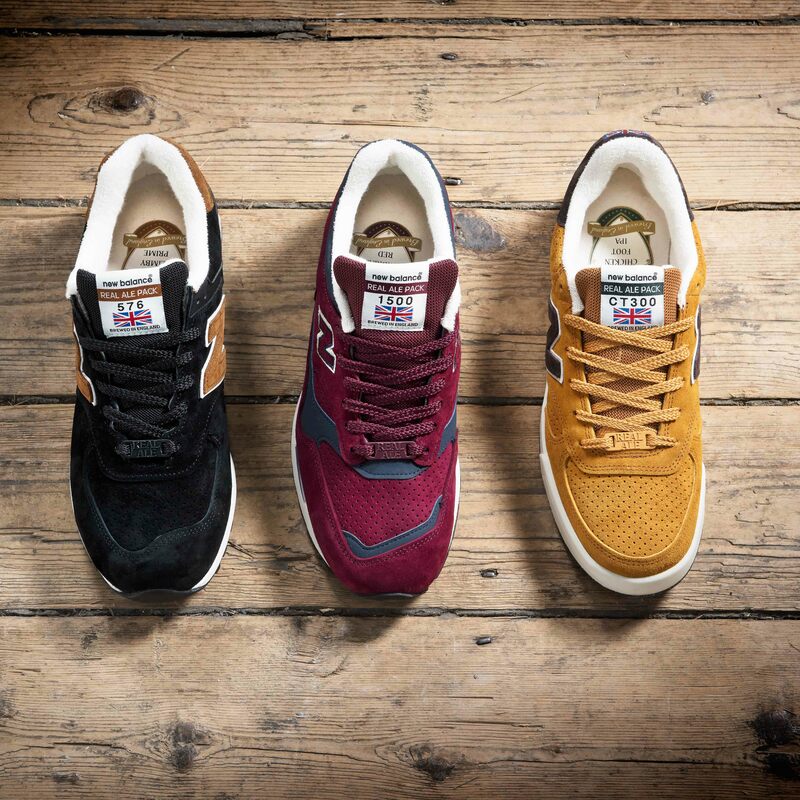 Each of these shoes are named after a fictional beer inspired by popular types of British ‘real ale’. If you are unsure what ‘real ale’ is, it’s a cask-conditioned beer that is served traditionally, without additional gas pressure. Let’s take a look at the shoes individually now. 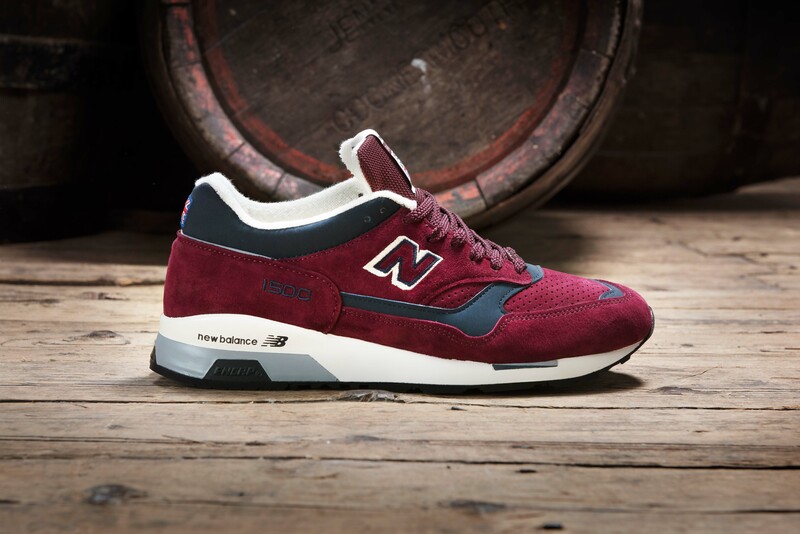 This 1500 comes dressed in a deep burgundy pigskin suede upper, with navy coloured accents, and perforated detailing. 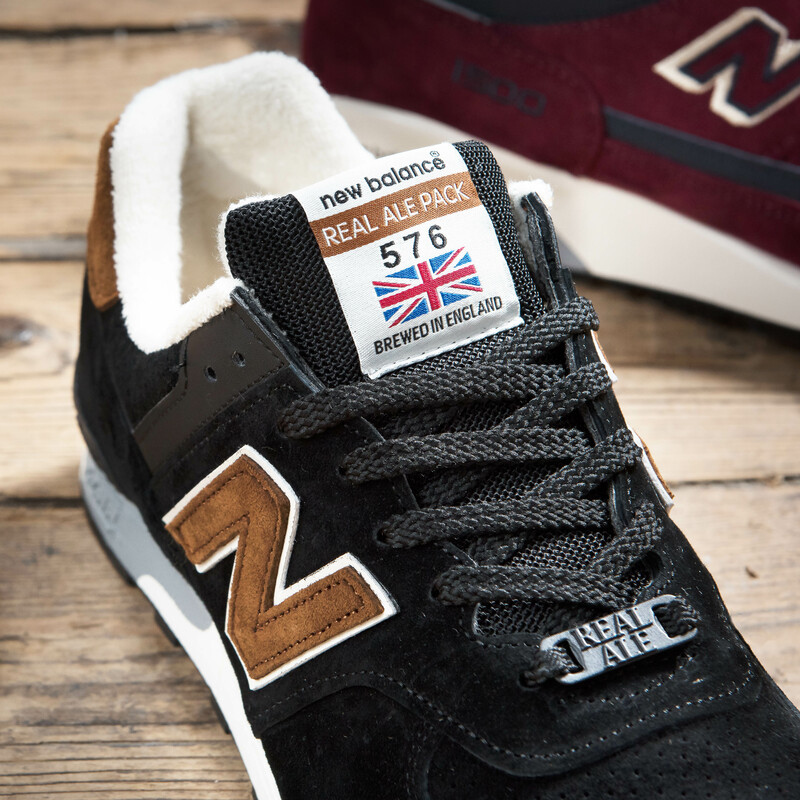 It also comes with a cloth textile liner, which represents the foam of the ale, as well as a special woven label on the tongue, ale logo printed insoles, “Real Ale” lace locks, and of course, the Union Flag on the heel tab. The 1500AB ‘Cumbrian Red’ is definitely going to be one of the most popular from the pack, that burgundy upper is just to die for. This 576 comes dressed in a predominantly black pigskin suede upper, with a brown ‘N’ and heel tab, as well as perforated detailing. 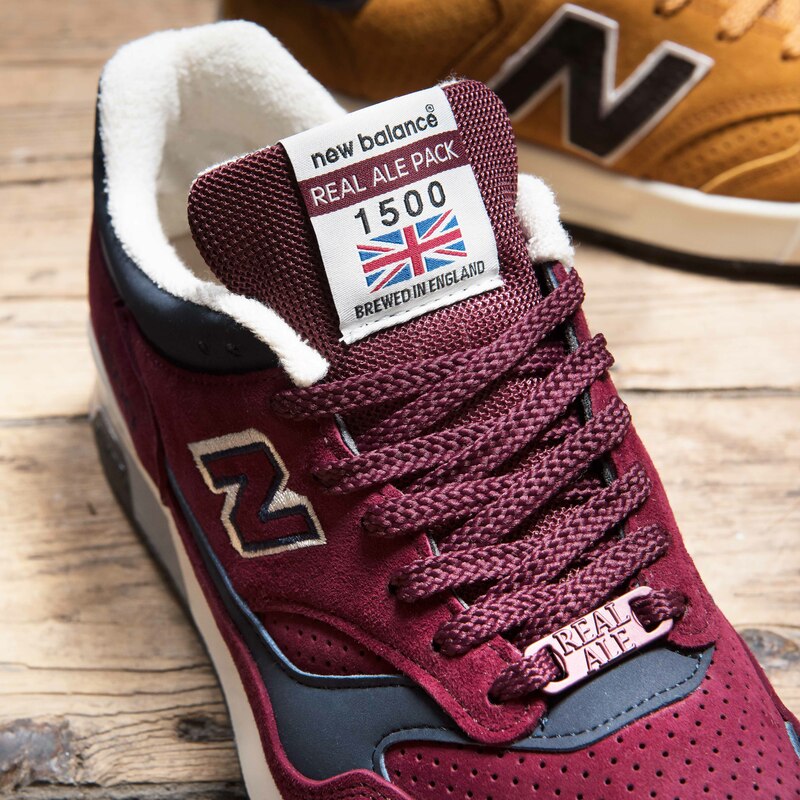 Like the 1500, it also comes with a cloth textile liner, which represents the foam of the ale, as well as a special woven label on the tongue, ale logo printed insoles, “Real Ale” lace locks, and the Union Flag on the heel tab. Don’t underestimate the 576AKT ‘Ye Old Flimby Prime’, it may not be as much of a stand out in terms of colourway as the other pairs, but in hand, this shoe is excellent. Now it may have a weird ale name, but this CT300 features the nicest colour we have seen used on a shoe in a long time! It features a tan pigskin suede upper, with brown ‘N’ and heel tab, as well as perforated detailing. 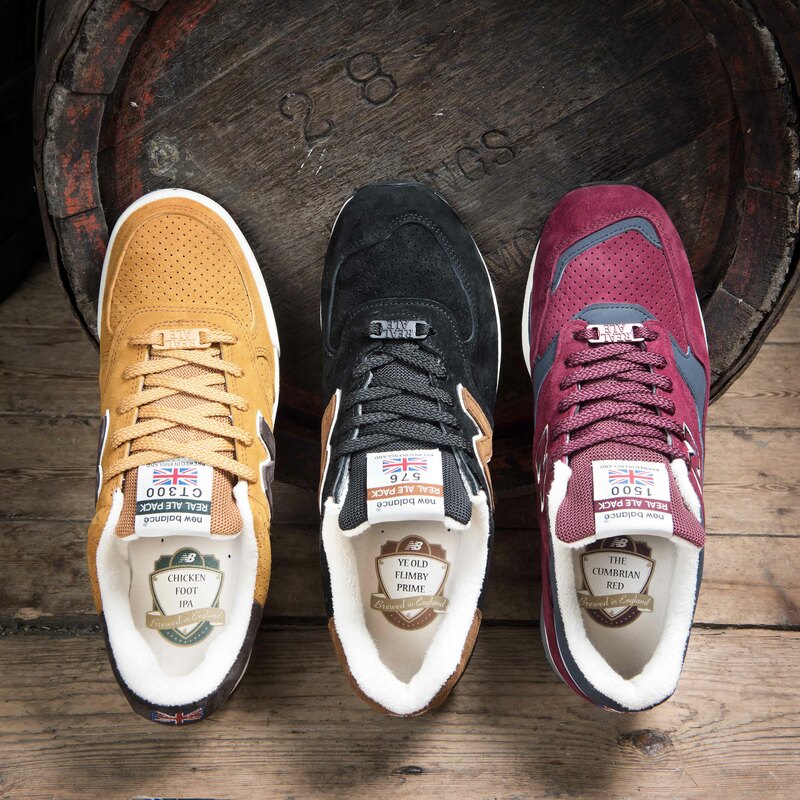 If you hadn’t guessed it already, it comes with a cloth textile liner, which represents the foam of the ale, as well as a special woven label on the tongue, ale logo printed insoles, “Real Ale” lace locks, and of course, the Union Flag on the heel tab. We’ll be sure to give you guys a heads up when this pack drops worldwide, so keep locked to our social channels.